Healthcare is costly for patients, and all too often not even available. Millions of Americans either cannot afford health insurance, or do not feel it is their priority. There are many variables that modulate the cost of health care. On a positive note, we are living longer and for many of us, surviving conditions that twenty years ago we would have succumbed to. The fact that we are living longer adds costs to the system, and the technologies keeping us healthier were expensive to develop and market. Thus, many of the factors do relate to technology - new devices and pharmaceuticals, better imaging devices, more improved surgical techniques, safer and more effective medications. Some of the costs are because health care is highly regulated. Additionally there is cost-shifting. When a person without insurance enters a hospital, the profits from the insured patient must cover the health care expenses posted to the uninsured. Although we cannot address all of the problems above, there are two costs that we can have an impact on - one is prevention the other is administration. Preventing diseases that are preventable is the surest and best way to reduce health care costs, improve quality of life. I have dedicated my career to this premise, not only in practice with Kidney Associates, where we premiered CKD education, but in my extracurricular activities with AAKP and NKF, and in founding The Nephron Information Center, nephron.com . My editorial and publishing commitments have helped me understand that patients, the public, regulators, lawmakers and industry are crying for more knowledge and help in understanding how kidney disease can be prevented. There is not one person in the health profession that would not confess to the frustration of seeing what a patient endures ten to twenty years after the onset of a disease like hypertension or diabetes. That the undesirable morbidities of these diseases are preventable and controllable makes us in the profession want to reach out to the community, especially to the youngsters. The Nephron Information Foundation has several projects lined up to do that. Another way to reduce healthcare costs is to make the information available at the point of service. Right now Apple is developing technology that will enable the iPhone to be very useful as a point of service tool. Other companies will soon follow. By creating first class programs that work seamlessly at the point of service on the iPhone, we can enable our colleagues to not only capture the charges, but manage the patient. Our simple calculator programs will work without effort on the iPhone, and will bring equations we are all familiar with to the beside. Since we are just getting started, there are huge opportunities for bright programmers who can develop in PHP and use AJAX. For our iPhone projects, we need experienced programmers who can work in the Apple environment. Those who work with health systems may wish to help us write the translation software that will integrate the data. There is a need for folks to help with marketing, promotions and support. Hopefully, our colleagues will try our products, like them and help promote them. 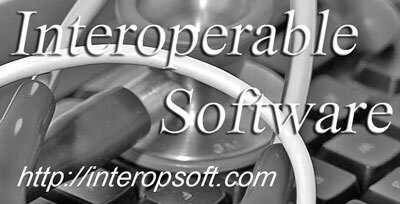 Large vendors and industry members, you may wish to make SHIFTS and HOSPITALS add-ons to you existing application. Since it adds functionality and can integrate with your code, you can save development time, and use your scare resources to make your products even better. Let us worry about the integration. Others may wish to license our patented encryption technology, or our Newsdesk technology. Finally, although we are privately held, if there are those investors who feel they are paying too much for health care and want to see something make a difference, herein lies the opportunity to do so. Feel free to e-mail me.